ACCESS TO REGS & GUIDANCE. DRIVER DOT FORM ENTRY AND ACCESS. FREE to download, free to store your medical history and information, and free notifications to renew your DOT Physical certificate. Add 350-650 HOS per 100 driver exams! Decrease overhead, prevent delays, and keep your drivers healthy and on the road with our DOT Physical management platform. Fully connected, direction driven, secure, and designed to build and manage your DOT Physical business. Access to regulations & guidance and/or fully connected EHR platform. Drivers store medical information for FREE, download now. Easy storage and access for all report forms and medical certification cards. Automatic reminders for drivers and motor carriers of upcoming required exams. Automatically identify possible roadblocks in the exam process and provide a solution before you go to your next exam. Access to medical clearance letters for all conditions that are regulated or have guidance. Easy access to all regulations and guidance. Drivers and Motor Carriers connect directly to medical examiners for quick access of exams and results. Pass My Physical connects you directly to the driver by providing direct access to request an exam. Joining Pass My Physical ensures you keep your schedule full with prepared drivers that can send you their completed exam form with the tap of a button. Each exam is stored in our HIPPA compliant cloud storage. Securely access, save, and release the exam results to both the Driver and the Driver’s Motor Carrier. Drivers can request an exam through the Pass My Physical app with a quick tap of a button. Once an exam is completed, the driver’s app will point them to you again the following year by saving your information to their account. Once an exam is completed, submit the exam results directly to the FMCSA. No more paper storage, no more manual submissions to the FMCSA; resulting in lower overhead for your business. Connecting to your motor carriers has never been easier with Pass My Physical’s free motor carrier access. Simply create an account and have a driver select to share their exam with you from their app; results will become immediately available for one-time access in your free account. Pass My Physical is not only the most connected and usable system, but also the least expensive! With all of these fantastic features and with the lowest cost, joining the Pass My Physical national network of providers should be a no-brainer! Contact us today to get started. Motor Carriers using the platform can achieve an ROI of 48:1. Quick, easy access to all regulations and guidance. Driver status shows when your drivers need to renew their DOT certificate. 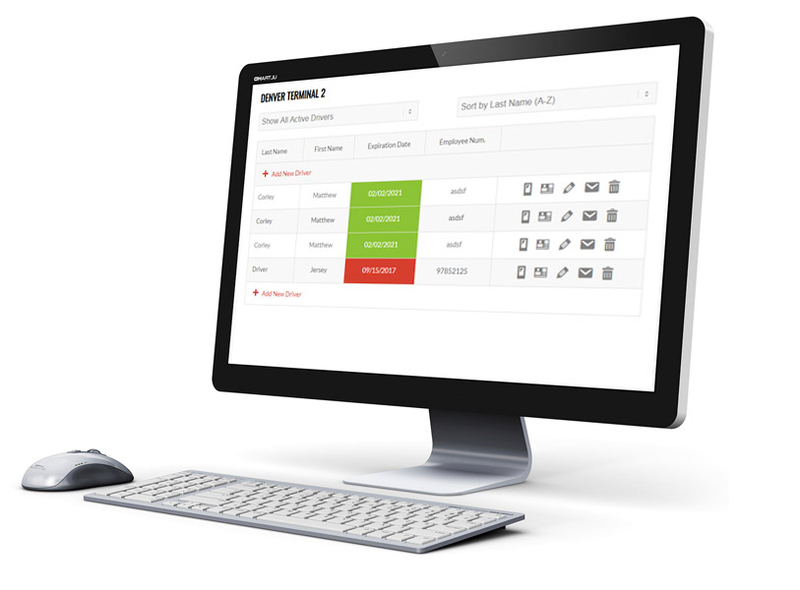 Secure storage and digital access of exam results. Affordable, easy to use, accurate, and compliant.